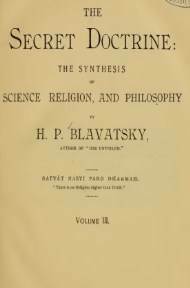 The Secret Doctrine, the Synthesis of Science, Religion and Philosophy, a book originally published as two volumes in 1888, is Helena Blavatsky's magnum opus. This is the slightly controversial third volume. 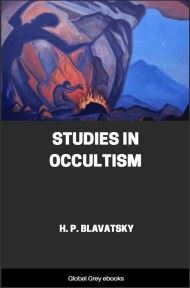 Only two volumes were published before the death of Blavatsky and although she mentioned a third and fourth volume, they didn't surface. This volume was published by Annie Besant, and many believe that it is merely the remnants of the initial draft of the first volume.